Exclusively From Scooterwest!!! Black Powder Coated Grab Rail For Vespa Primavera (2014 and Newer). Powder coated items like this Vespa PRIMAVERA passenger grab rail are kept in stock in VERY limited quantities. We can only afford to powder coat a few at a time. We are also subject to being out of these one-of-a-kind items for prolonged periods of time. You snooze you loose!! 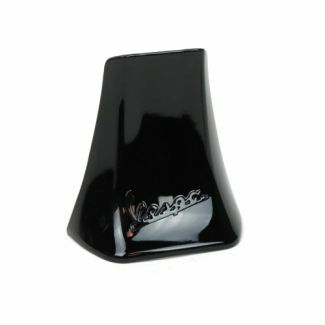 If installing on the Vespa Sprint, don't forget to pick up the Primavera Style Cover 673637-BK.